First Flyaway of New Generation of BBJ Max Series. 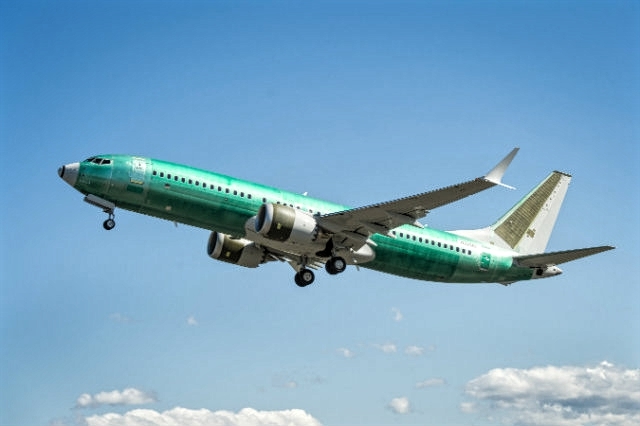 The first commercial version of the Boeing 737 Max took off from the owner's premises in Seattle on April 16, on the first leg of its journey to become a fully equipped BBJ Max 8. According to the online flight tracking tool, the reinvented narrowbody - serial number 61329, with registration N329BJ - took off from Boeing Field at 09:33 local time and landed at the Delaware Coastal Airport, in the east of the United States, 4h 42min later. Aloft AeroArchitects will now install its PATS auxiliary fuel tank, which will increase the aircraft's reach to 6,640nm (12,300km), its 3,000 nm more than the Max 8 standard. The BBJ Max 8 green is scheduled to arrive for equipment in the fourth quarter at Comlux Completions in Indianapolis. The finished aircraft will be delivered to its undisclosed customer in the second half of 2019. "We are excited to see the first BBJ Max come to life and surpass the milestone of development," says Boeing Business Jets president Greg Laxton. "In recent weeks, the plane has achieved the deployment of the factory, the first flight, multiple certifications and now flies," he adds. The BBJ Max 8 was launched in 2014 as the first member of the BBJ family to reinvent itself, presenting the new CFM International Leap-1B power plants. This will be followed by BBJ Max 7 and BBJ Max 9, the next generation versions of BBJ and BBJ3, which will be dedicated to ecological delivery in 2022 and 2020, respectively. Boeing says it has secured 20 orders for the trio to date, with the bulk of sales for the Max 8 variant.